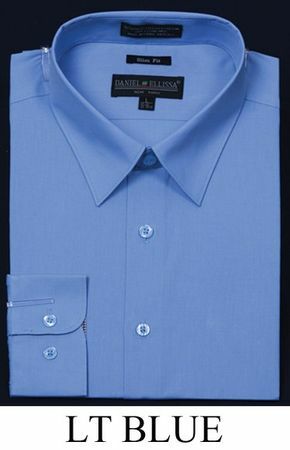 Get your colorful slim fit dress shirts up to speed with the latest slim fit style dress shirts for men by DE. These slim fit dress shirts are ready for your suit collection and have that slim style fit that you want to be seen wearing. Made of cotton/poly blend fabric.